Ceiling Systems - Ceiling Mounted Air Conditioning Units For Less At SNH! Ceiling Systems With Up To 70% OFF Retail! Ceiling systems have two parts like a split system air conditioning unit. One is fitted into the ceiling in the room to be cooled whilst the other unit is situated outside the building. The external unit removes the heat from the room and takes it outside. 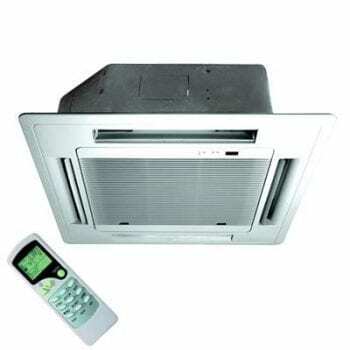 In addition this unit provides cooling and heating as required.